I was counting the due date of my rabbit on two calenders. I looked at my rabbit tummy and it was small so I decide to work with the second calendar which was showing me that she was 16 days pregnant while the first calender was showing me that she was 30 days pregnant. 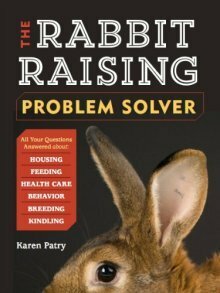 But the thing I discovered was that female doe rabbits hide their pregnancy very well; even when I was doing the palpation process I still couldn't feel anything. She made her nest at the time of birth it's possible. 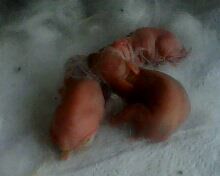 She had a litter of 4 bunnies, unfortunately one died at birth and another died of complications of respiratory problems. There are only two now. They have grown into nice New Zealand rabbits. 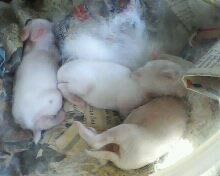 They are now 2 weeks and 1 day old they are healthy bunnies and they are all fine. However I found out that my doe rabbit which had given birth is now 4 days old in her pregnancy which I don't know how am still in the process of finding out but both bunnies and their mother are all fine. Thank you. omg Maurice this is so beautiful and I love ur New Zealand bunnies they are looking healthy and happy, you look very dedicated to them and i know you did and still doing a stunning and phenomenal job in raising those bunnies all by yourself, you're a strong and independent young man, continue to grow up in that pattern and way of life as u continue striving for excellence.